Your teenager knows everything; you know nothing and life is unfair. Your youngest is upset because, after hours of grocery shopping, there’s no candy to show for it. And your spouse is stomping around in the garage muttering comparisons of the household to a zoo. Even the dog is whining about its empty bowl. You’ve seen these symptoms before; it’s cabin fever. The kind of cabin fever, that is, that requires a weekend (or a week) at a Northwoods resort relaxing, reconnecting and recovering. Fortunately, we have the cure with our Top Minnesota Family Vacation Spots. Pack up and caravan Up North for vacations filled with sun, sand – or snow – and lakes to return with a happy, healthy family. The Big Sandy Lodge & Resort has been drawing families from all over the state since it was built all the way back in 1902. That kind of longevity doesn't happen by accident! Big Sandy Lodge & Resort has a sterling reputation for stupendous hospitality and intimate lodging. From partaking in onsite fine dining to relaxing in the lodge's indoor pool, hot tub, and sauna, your family will certainly never be bored here! 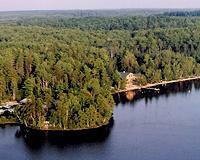 The beautiful south shores of Big Sandy Lake make for a stupendous backdrop for hiking, biking, and kayaking. Your days will be filled with fun, and your nights will be spent in one of the 18 exceedingly cozy rooms. A stay at Big Sandy Lodge & Resort is the kind of decision your family will be thanking you for for years down the line! 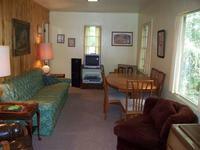 The resort is on the edge of the Savanna State Forest and just 10 miles from the town center. Other amenities include a boat dock, a deck with lake views, and walking trails, plus activities such as fishing, kayaking and biking. Families will flock to Pine Terrace Resort, where an untainted Minnesota utopia awaits! Whether you're in search of lake activities or hiking adventures, this resort is more than willing to showcase its breathtaking natural splendor. And, luxury cabins welcome vacationers of all ages! Your family fun begins on the sparkling shores of Star Lake. Bring your own boat or cast off the dock for various species of fish like largemouth bass, northern pike, sunfish, and crappies. Explore the shores while canoeing, kayaking, paddleboarding, or water biking. Stay dry on the beach, hiking through the trails of this 36-acre paradise, or crawling on the playground. Exchange exploration for relaxation onsite, where 13 cabins await with modern amenities and stunning scenery. Step out onto your deck and soak in the lake views, stretch out on the sun deck, and stay connected with wireless internet access. Fry up the catch of the day on the charcoal barbecue grill and dig in with your loved ones on the picnic table. Some cabins even showcase wood-burning fireplaces for those crisp days. Families will love Pine Terrace Resort, where luxury and leisure unite! Families can explore more than 30 acres of wandering woodlands. These lush trails feature various forms of wildlife like deer, beaver, painted turtles, snapping turtles, and ducks. Fishers will find everything they need for a successful trip here. Set off from your private boat launch in the morning and bring your catch the fish cleaning facility afterward! Since 1947 Campfire Bay Resort has been welcoming families to the secluded and rustic surroundings of Fish Trap Lake. Come and see why generations of families have been making a vacation here an annual ritual. Stunning forests and the calm cool waters of Fish Trap Lake welcome all families to the Campfire Bay Resort. Only a short two hour trip from the Twin Cities, this is the perfect location for your family to relax and reconnect. They have two, three and four bedroom cabins, perfect for almost any sized family. The cabins have amenities like a/c, full kitchen to easily prepare all meals, decks, comfy outdoor furniture and a community bonfire pit where you can get to know other visitors. Your family will love the clean shore line and the abundant water sports. Rent a pontoon from the resort and set out your own private family adventure. The lake is a great place to fish because of the high population of walleye, crappie and large mouth bass. Your kids will enjoy the extensive list of on site activities that include painting, tie-dye shirts, jewelry making, pop bottle rockets, nature trips, woodworking, game room and an ice cream social. Outside the resort you will find activities like golf at Pine Ridge Golf Club, horseback riding at two local ranches, local niche shopping locations and the Pine Grove Zoo. With something for everyone Campfire Bay Resort has a rustic charm that will leave unforgettable memories for you and your family. Check out the Minnesota Military Museum that is only 15 minutes from the resort on the grounds of Camp Ripley. You'll find 9,000 square feet of indoor exhibits and an awesome outdoor display of tanks, jeeps and other various heavy equipment. There is an on site spa program that features a licensed massage therapist. Contact the resort to check availability and to schedule you massage, manicure or pedicure. If our next resort had its own slogan, it'd probably go something like this: "Ruttger’s Bay Lodge, where the fish are always biting and the staff is always alarmingly hospitable." If that doesn't make you want to scamper to your car and drive to Ruttger's, nothing will! Regardless of your family's size, age, or attitude, Ruttger’s is the place for you. The small town of Deerwood brings untold charm- lots of shops, and plenty to farm. The cabins are rustic and full of all the modern amenities kids expect in our technologically-driven age. Get outside and fish, hike, bike, or simply relax next to the lake. Long story short, you’ll be glad you came and hosted your event at Ruttger’s. The Ruttger family opened the resort all the way back in 1898! Isle O' Dreams is an ideal cabin getaway for both outdoor lovers and relaxation seekers alike! Whether you are taking a boat or kayak out onto the water, or casting your fishing line from the shore, there is plenty of fun to be had here! Isle O' Dreams was built back in the 1930's and features 17 cabins along 2,000 feet of majestic shoreline. Whether you are looking for a cozy bungalow to sleep after a day of fun activities, or need space for the entire extended family. Isle O' Dreams has accommodations to fit your needs. Of course, you'd be remiss to forget about the natural playground that awaits in the form of Bad Axe Lake- it's an ideal way to spend a hot summer afternoon! Get back to nature as a family at Kavanaugh's Sylvan Lake Resort in Brainerd, Minnesota. 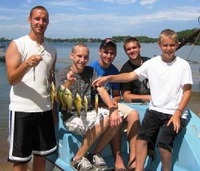 Kavanaugh's offers you and your family a spacious home away from home at any time of year in the Brainerd Lakes area. Watch a movie together in your cabin's living room, tell stories around the fire, or watch the sun set on your deck. No matter how big your family is, there is a lodging option to suit your need. No matter what time of year, you'll find plenty of activities perfect for family fun at Kavanaughs. When the snow falls, try cross-country skiing, snowshoeing, and tube sliding. In the spring and summer, try a family fishing trip on Sylvan Lake. Or, in the fall, take a hike through the fiery colors of the woods. All this and more awaits you at Kavanaugh's. Kavanaugh's is a year-round resort, so the family fun doesn't have to stop when the snow falls. Try snowmobiling or cross country skiing together! Kavanaugh's has been family owned and operated since 1969! There will be parts of the family reunion that you could do without, for example, Uncle Bill’s special goulash recipe. Yet, despite any unappetizing aspects, one thing is certain – it’s time for your competitive streak to shine. Here to appease your annual Olympian spirit is our No. 10 spot. Conveniently close to Lanesboro, named one of 50 Best Outdoor Sports Towns by Sports Afield Magazine, friendly family contests or simple athletic outings are at your fingertips at Cedar Valley Resort. The 60-mile Root River State Bike Trail runs right through Cedar Valley and opens up to breathtaking views of 300-ft. bluffs and the Root River. If a Tour de Lanesboro is not the family competition you had in mind, Cedar Valley has a nine-hole Frisbee golf course, a volleyball court, basketball court and plenty of green lawn for a bocce ball tournament. When it comes to a time-out, enjoy Root River recreation like tubing, kayaking, canoeing and fishing for smallmouth bass and trout. Or, get your game on with a hunting expedition for deer, wild turkey, pheasants and grouse. Cedar Valley Resort is also close to area attractions such as Amish tours, the Commonwealth Theater, a valley winery, Cornucopia Art Center and more. From Minneapolis/St. Paul, take Hwy. 52 to Fountain. Take a left onto County Road 8 and travel east to Lanesboro. At Parkway, take a right and travel about five blocks to a stop sign. Make a left onto Hwy. 16 East and continue for four miles to Whalan. Turn left off of Hwy. 16 and onto Main Street. Travel over the bridge and continue straight until the road dead ends at Cedar Valley Resort. After all those family games, you’ll need to relax those strained muscles with a massage. Prana Healing Center provides therapeutic body work in the comfort of your cabin. Whatever the size, age, or temperament of your family, they'll leave Moonlight Bay a lot closer than when they came! Moonlight Bay has oodles of fun, incredible accommodations, and friendly hospitality galore, but perhaps its most spectacular aspect is its fishing. But the basics of an incredible Minnesota fishing resort include quite the old-fashioned fishing resort. Bring your boat (or rent one of theirs) and get out on Leech Lake! The lake is well-known for its trophy walleye, muskie, northern, crappie, sunfish, bass, and perch- needless to say, the variety is spectacular. Finally, when the day is done roast some s'mores around the campfire or let the loons sing you to sleep! For groups, they have a 22’ pontoon to rent, perfect for a fun-filled day on the lake. Take a swim in the heated outdoor swimming pool, shoot some hoops, play a game of horseshoes, or try your hand at a round of bocce ball! Far into the deep north woods of Minnesota, northeast of the mining communities of Virginia and Eveleth, lies a spectacular, multi-functional four-season lodge. The Lodge at Giants Ridge, a three-hour drive north of the Twin Cities, is in the heart of the stunning Superior National Forest. Pack the kids in the car and head north to The Lodge at Giants Ridge! Regardless of season, Giants Ridge has family-friendly activities to suit your needs. Take the whole gang skiing, golfing, snowmobiling, hiking, mountain biking, fishing, or hit the lake for a day of tubing! The whole family will agree with the tremendous pool areas as well! Whether you're visiting to ski, golf, hike, or unwind, the Lodge at Giants Ridge is the Northern Minnesota getaway you've been dreaming of! Hit the slopes at Giants Ridge Ski Resort, which offers 35 alpine runs and Minnesota's best snowboard terrain park. Swings the clubs at The Legend at Giants Ridge, a stunning, pristine course with phenomenal views of Superior National Forest. The Lodge at Giants Ridge can accommodate up to 350 people thanks to stunning, flexible meeting and banquet spaces. Located on the hillside of Giants Ridge, your attendees will fall in love with the gorgeous views of Northern Minnesota’s natural beauty. The Lodge at Giants Ridge is the #1 meeting destination for retreats, conferences and social events within 100 miles! Canoeing, kayaking, sailing, and paddle-boarding! 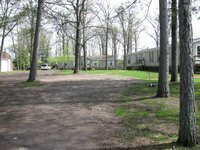 A stay at Shady Hollow Resort and Campground is filled with fun from start to finish! As the sole resort on pristine Hardy Lake, Shady Hollow Resort and Campground makes good use of its unique backdrop. All kinds of families will find something to love, whether you're interested in tranquility or adventure. Tucked away in rolling hills and pines forests, those looking for a peaceful setting need only step out the door. Meanwhile, there's practically no end to the activities your family can take part in here. Of note, the fishing at Shady Hollow is spectacular; northern, bass, crappies, sunfish, and that elusive walleye are all waiting to be caught! The lodge is only 9.6 miles from downtown Brainerd. The amenities include a game room, guest laundry, and a convenience store selling ice cream and fishing bait. From the outside, Moore Spring Resort might not look like much. But spend a weekend here and you'll realize that its fine accommodations, incredible hospitality, and undeniable fun all add up to make this man a families go-to family vacation spot. Set against the verdant Chippewa National Forest, Moore Springs is as picturesque as any other resort in Minnesota. Yes, your lodgings are rustic, cozy, and all you could want, but you're at a cabin for the outdoors fun! Hit the water for fishing, swimming, and canoeing around crystal-clear Howard Lake. Afterwards, you could go hiking in the Chippewa National Forest or bike the Heartland or the Paul Bunyan Trail. It's your vacation- live it up! The resort features 1100-feet of beautiful shoreline! The Lodge also offers camping, with sites that are either lakeside or wooded on the upper tier of the resort. Tamarack Resort is your base camp for family fun. Whether you're fishing off the dock, lounging on the beach, or roasting s'mores over a campfire, everyone is sure to be entertained. Come enjoy the rustic charm of these cozy cabins and indulge in an array of outdoor adventures! Swap city strife for the simple life in the vast wilderness of this outdoor oasis. Burntside Lake awaits just outside your door, teeming with aquatic activities for all ages. Immerse yourself in the enchanting nature of one of the country's most beautiful lakes with more than 150 islands. With the Boundary Waters Canoe Area Wilderness nearby, this locale makes for a reviving retreat for families and friends. Enjoy plenty of family activities such as fishing, canoeing, or lounging by the lake. Wander to the quaint and welcoming town of Ely, Minnesota, for a day of shopping and dining. Spend an afternoon at the International Wolf Center or at the underground mine! In the evening, return to your fully furnished cabin with deck that overlooks the lake, and an outdoor grill. All ages are invited to soak in the simple life here! Featuring 150 scenic islands, there are so many angling adventures to have on the lake. Fish near a different island every day and discover your new hot spot! Burntside Lake keeps the water-based fun coming with two beaches and acres of prime fishing real estate. Reel in trophy fish, build sand castles, or just catch a tan! Woodland Beach Resort's wide variety of cozy cabins and great access to beautiful Bay Lake make it a great destination for families big and small! Whether your family is out for adventure or relaxation, they'll find it in spades at Woodland Beach. After you've settled into your enormously cozy accommodations, get outside and make the most of the great outdoors! Cast a line off the dock or just lounge on the beach, go for a hike or work on your tan, do some swimming or take a nap- the world is your oyster here! Plus, since you can rent boats for fishing, as well as pontoons, everything you'll need to have a great time will be ready and waiting for you. Add in Woodland Beach's famous hospitality and you've got a winner! Boat rentals are available from Woodland Beach Resort. Different size fishing boats are available as well as pontoons! Minnesota is nicknamed "The Land of 10,000 Lakes" for a good reason: there's a lot of lakes. 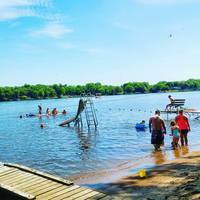 At the top of the “Best-of” list is Elbow Lake, a glistening paradise that serves as an incredibly fun escape for families from all over the midwest. Get to Cook for an authentic family cabin weekend! Whether you’re cannonballing into the lake or roasting marshmallows over a crackling fire, the fun doesn’t stop at the Elbow Lake Lodge. All ages will find something to love, from exploring the lake on a kayak to playing 18 on the mini-golf course. 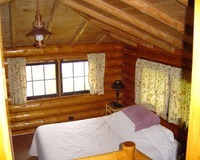 All sizes of room suites available, or (for big families) grab a rustic cabin. Even the most scatterbrained kids will be able to focus on just how much fun they’re having! Visitors can access Cook by car or even small plane flying into the regional airport 5 minutes outside of the town. In 1908 the city's name was changed from Little Fork to Cook at the request of the United States Postal Service and in honor of Wirth Cook, an owner of the original railroad that ran through the city. If you wanted to go someplace that felt like home – well, you’d go home. Nelson's not only puts you at ease the moment you reach its doorstep, it also has all the creature comforts required of a Minnesota luxury experience. The first obstacle that Nelson’s Resort tackles is feeding the family. Before you get visions of staff members putting bibs on everyone and asking you to “Open up for the plane,” just take a peek at Nelson’s menu. For breakfast, your angler can have the Fisherman’s Platter with a walleye fillet, eggs and more. At the dinner bell, the whole gang will rush to the table for honey pecan crusted halibut, Ruben rolls and ribs. There’s even a kids’ menu for tykes still attached to mini-corndogs and chicken strips. When it’s not meal time, it’s water time. Crane Lake is right outside your door and teeming with walleye, northern pike and smallmouth bass. Or, take a canoe trip complete with swimming in the sparkling lake waters on the American/Canadian border. No matter which you choose, a perfect end to your Northwoods day is a Northwoods night beneath the colorful Northern Lights. Another home-like feature you and the kids can both enjoy at Nelson’s is Millie’s Garden. Breathe in the sweet scent of cabbage, lettuce, asparagus, orange marigolds and more. 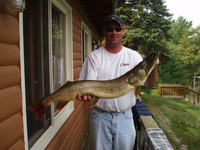 Fish wrapping and freezing services, sauna, playground, hiking trail, game room, volleyball, canoes and a boat launch. Sparkling Pelican Lake is home to more than just superb flora and fauna; it also possesses Birch Forest Lodge, a premier (and family-friendly) Northern Minnesota fishing resort. Here you’ll have it all: enchanting accommodations, exceptional resort amenities, and, of course, unparalleled personal service from the friendly staff. 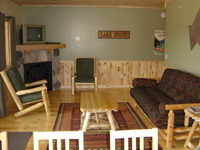 Birch Forest’s more than 1000 feet of pristine lake shore hosts their 11 exceptionally clean cabin rentals. Each and every one is full of homey charms and modern comforts, so as to enhance your rustic lake experience. Outside of your lodgings, you’ll be participating in a number of fun resort activities, including swimming, volleyball, canoeing, and so much more. Experience the prototypical Minnesota cabin weekend at Birch Forest Lodge! This secluded lodge is 50 miles north of Virginia (the city). Other amenities include a boat dock with slips, and a fish-cleaning station. Are you and your family looking to make a “big splash?” That'll be easy at Arrowwood, where you''ll have the time of your lives at the Big Splash Indoor Waterpark! Inside this 38,000 square foot park you’ll find three exhilarating slides, water toys, and a huge pool to jump into. Meanwhile, while the kids are busy splashing the day away parents can relax in the tropical whirlpool spa or join in on the fun and head down the Lazy River. When it’s time to call it a day, head over to one of Arrowwood’s elegant guest rooms, which are as cozy as the waterpark is fun! The resort’s Family Rooms offer you two queen beds in an extra spacious room. If you need even more space, the resort also has Cottages and Townhomes available. Away from the resort you'll find the small town shops and charms of Alexandria, a lovely way to spend an afternoon! Arrowwood Resort also has a spa, championship golf course, and a marina! Whether your stay is for a week or a weekend, the accommodations at this Minnesota vacation resort are spacious and furnished for comfort. Private balconies or patios overlooking Lake Darling or the golf course are featured in most guest rooms. Amenities include coffee makers, refrigerators, microwaves, full-size ironing boards and irons, hairdryers, data ports and voicemail in all rooms. For an unforgettable Southern Minnesota family vacation, visit Dickerson's Lake Florida Resort! This is a 13-cabin beach resort near Spicer, Minnesota. 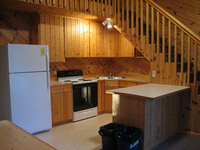 Their cozy cabins offer many modern amenities, including refrigerators, linens, microwaves, and gas stoves. Dickerson's is a family-owned beach resort that provides classic Minnesota family vacations. Family members of all ages will love the traditions of hayrides, campfires, s'mores and more. Homemade donuts, coffee, and juice are served on Sundays. Dickerson's always offers a great time to kick back with family! Lake Florida is a peaceful Minnesota lake that's perfect for swimming and fishing. And nearby there's golfing, biking, hiking, shopping, and more! Experience Minnesota like it was meant to be experienced at Dickerson's Lake Florida Resort! With six golf courses in the area--including Little Crow Country Club in Spicer, Eagle Creek in Willmar, and Hawk Creek in Raymond--there is no shortage of options for those seeking time away from the lake by hitting the links. Dickerson's Lake Florida Resort rests on the east side of spring-fed, 674-acre Lake Florida, one of the best walleye lakes in Central Minnesota! Lakecrest Resort, in sunny Detroit Lakes, is an ideal family retreat for any occasion! There’s no catch when staying at Lakecrest. Pure and simple, you can enjoy the Northwoods how you see fit. Rent a pontoon for the afternoon, exercise on a hydro-bike, zip down the waterslide, fish for bass, crappie and walleye or go bird watching. Far from being a feather-brained idea, Lakecrest is the prime spot to catch a glimpse of fascinating prairie chickens, a ruffed grouse, boreal chickadee, great gray owl and more because of Lakecrest’s location in the middle of the Pine to Prairie Birding Trail. Let the others go ahead while you stay behind to rest in peace and quiet. Stretch out on your grassy lawn. Nap on the comfy couch in the air-conditioned cabin. Take a night off from dinner duty and suggest that your sweetie throws something on the grill. Birding buffs will be thrilled with the abundant area bird-watching spots such as Tamarac National Wildlife Refuge, Hamden Slough, Dunton Locks Great Blue Heron Rookery, Felton and Bluestem Prairies, Itasca State Park and Buffalo River State Park. Lakecrest is open for the winter! Enjoy cold-weather sports like cross country skiing, snowmobiling and ice fishing. Games and activities provide full-time amusement with horseshoes, sand volleyball, tennis, basketball, swing sets, sand box, game room, shuffleboard, paddleboats, canoes, sailboats and more. Sand Lake Resort is the perfect place to bring your family on a fun-filled getaway- there's so many memories just waiting to be made! There are seven distinct cabins to choose from here, each providing a spacious home base for your family. Three to six people can fit cozily inside, but you'll want to spend a majority of your time outside enjoying the beautiful surroundings! Hiking, biking, bird-watching, ATVing, swimming... the list is almost endless! Combine that with the lodge's famous hospitality and you have a can't miss destination. Your family's heads will be spinning from the amount of choice they have on their stupendous Sand Lake getaway! The resort lies 0.7 miles from Moose Lake Carlton County Airport. There's also a game room with a ping pong table! The legendary Horseshoe Chain of Lakes plays host to a number of luxury family destinations, the best of which may very well be Riverside Resort! While couples on romantic getaways will also find plenty to love here, it's families who are Riverside's bread and butter. With spacious cottage rentals, seasonal RV sites, and short-term camping opportunities, the ways to stay are many and flexible to your preference. All of cabins have many of the comforts of home, from fully-furnished kitchens, to cable TV and free wireless internet.Outdoors, you have access to 15 different lakes spanning over 15 miles of water, which can be experienced by canoe, kayak, or by simply swimming. Go fishing, cannonball in, or simply relax on the shore, and congratulate yourself on choosing Riverside! The resort lies two miles from downtown Richmond. There's also a private swimming beach with a boat ramp and waterslide. Half Moon Trail Resort's superior accommodations and wealth of amenities are sure to give you and your family an experience you’ll never forget! Whether you're watching the sun rising over the lake or pontooning and watching a loon dive under the water, you're in for a fantastic time at Half Moon. The friendly staff are wholly dedicated to making sure your experience is top-notch. Sit on the beach and enjoy a good book, or take a stroll through the resort’s extensive gardens, set amidst towering pines and full of fragrant varieties of flowers. Your family will make memories that will last a lifetime! Use of bikes, kayaks and canoes is complimentary. There is simply no better place to reconnect with family and friends than on the shores of Green Lake. Don't believe us? Let the friendly staff at Green Lake Resort show you! Winter, spring, summer, or fall- regardless of when you visit, Green Lake has it all! The town is filled to the brim with craft breweries, miles of hiking and bike trails, boutique shopping, and local events and festivals, so rest assured there will never be a dull moment. The resort is the perfect combination of luxury and affordability, letting you feel like royalty without breaking the bank. Go enjoy the great outdoors, relax by the cozy indoor fireplace, or take a dip in the indoor pool! The population was 1,167 at the 2010 census. Spicer was platted in 1886, and named for John M. Spicer, the original owner of the town site. As a parent you’ve had encounters with the unnatural, however, our No. 8 pick only surrounds you with all the natural beauty of the North Woods at "A Naturally Superior Destination"™. In addition to being located in the midst of more than a million acres of Minnesota wilderness, the award-winning River Point Resort is also the only Ely resort and canoe outfitter on the northern, more intimate half of Birch Lake with direct water access to the Boundary Waters Canoe Area. Along with the impressive title come equally impressive cabins, luxury homes and villas. Inviting Northwoods décor such as knotty pine kitchens and living rooms and a wood-burning fireplace make up the interior of your MN family vacation. Outside, you can get your feet wet on the Aqua Jump Swim Raft or stay on land for a game of bocce ball. Possibilities are endless with kayaks, paddle boats, minnow buckets, an outside fireplace for bonfires, two sand beaches, a marina and more! When you feel the need to stretch those legs, try hiking the private “Trail of Reflections” at River Point. Take the kids along, as they’ll enjoy finding all the spots listed in the trail guide. Stop to enjoy a cool beverage at one of the amazing overlooks with sweeping views of the water below. Pontoon boats, pro fishing boats, massage therapy appointments, complete and partial canoe outfitting, fish cleaning houses and services, bait and tackle shop, unlimited firewood, gas grills and more. Sure, you could go on a typical family trip this summer. But why would you do that when you could go somewhere that not only is barrels of fun, but also will bring your family closer together? We speak, of course, of Anderson’s Starlight Bay Resort. Just south of the quaint town of Nevis, sitting adjacent to beautiful Crow Wing Lake, sits Anderson’s Starlight Bay Resort. There you and your family will find unbridled hospitality, luxury accommodations, and fun up the wazoo. From the cozy interior of your cabin, set out and explore your gorgeous surroundings. There’s plenty of water activities available to partake in, from swimming and boating to fishing for the elusive largemouth bass. Or you could always sample the nearby shopping, sightseeing, and excellent dining! The population was 390 at the 2010 census. Families will be treated to wilderness on water at Rainy Lake Houseboats! Located in the untainted Voyageurs National Park, you'll have access to an array of aquatic adventures, acres upon acres of natural land, and sun-soaked beaches. Rainy Lake proves that fun floats in International Falls! This fun is nearly infinite, as guests can explore 220,000 acres of sky blue waters and idyllic forests. Take a plunge into aquatic activities at Voyageurs National Park, the only inland water-based park in the National Park System. Fishing fanatics can cast off on an expedition for a variety of fish species including walleyes, northern pike, smallmouth bass, black crappies, and muskies. Canoe or kayak a bevy of bays set amid stunning scenery. Whether you bring your own vessel or rent from Rainy Lake, you're sure reconnect with nature. Stay dry hiking through the tree-lined nature trails, bird watching, or observing the roaming wildlife. The family fun continues on your houseboat, which features amenities for all ages. Shoot down the waterslide, make a splash with the swim platform, and rock the boat with the stereo system. Once you've built up an appetite throw some burgers on the gas barbecue grill and lounge in the deck chairs. Accommodating anywhere from two to 12 guests, these boats can fit families of all sizes. 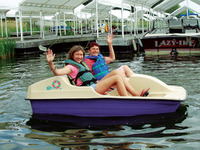 Come stay at Rainy Lake Houseboats, where family fun floats on! Mother Nature is on full display here. Catch a glimpse of white-tailed deer, black bear, beaver, and moose. Focus your eyes on the skies and observe bald eagles, hawks, and ospreys, and pelicans soaring overhead. Voyageurs National Park lies on the edge of the Canadian Shield, an exposed outcropping of ancient granite dating back 500 million years. A self-proclaimed “Mom-and-Pop” Resort, Bear Paw is the perfect place for families looking for an authentic Minnesota cabin experience. From their gorgeous setting to the unbridled enthusiasm of their staff, Bear Paw Resort will do everything in its power to give you the cabin weekend of your life. If your kids have the attention span of a rodent, Bear Paw can still keep them occupied all day. 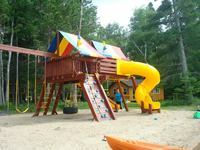 Activities range from tetherball and shuffleboard to horseshoes and a huge playground. When they’re not expending energy having fun, they’ll be expending it (and gaining some) by stuffing their faces at the scrumptious snack bar, which serves baked goods, pizza, ice cream sundaes & cones, and more! Of course, peace is important on a vacation as well, and you’ll find few more peaceful places than the shores of Two Inlets Lake in the evening. Roast some marshmallows and reminisce about yesteryear as you listen to the crickets and bullfrogs Who knows- the northern lights have even been known to make an appearance!